Target #1 was an enemy transshipment point south of Kratie, Cambodia, on the east side of the Mekong River. 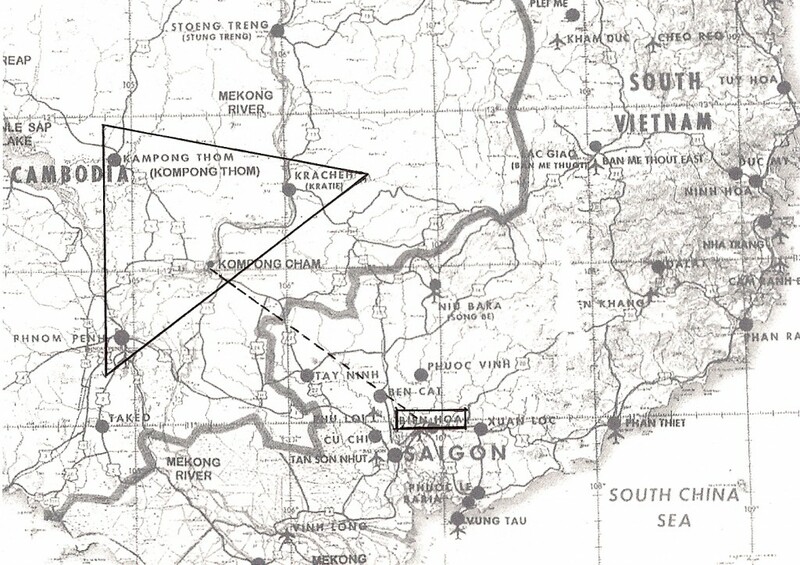 Target #2 was a “Known Enemy Location,” or KEL, near Chhlong on the south side of the Mekong River, south of Kratie, as the river flows to the west. Then First Lieutenant Tom Case, Rustic 30, filmed this airstrike from the right seat. Target #3 was a “Known Enemy Location” southeast of Kompong Thom, or KPT as we referred to this provincial capital. My roommate, then First Lieutenant Steve Hopkins, Rustic 45, filmed these airstrikes.